The Ultimate Fighting Championship is heading to the Toyota Center in Houston, Texas on Saturday, October 8. After watching the Light Heavyweight Championship bout on September 24, UFC 136 will feature two championship bouts. The Featherweight Championship belt will be on the line, as well as the Welterweight Championship belt. These lighter weight classes feature lightning quick athletes with endurance to go full throttle the entire five rounds if necessary. In addition to these two championship fights, here are the additional fights Dana White and the UFC have scheduled for UFC 136. 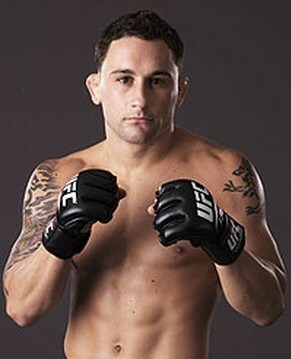 Frankie Edgar is the current lightweight champion. He wrestled in high school and at Clarion University, an NCAA Division 1 school. Edgar auditioned for “The Ultimate Fighter” series season five, but was not selected for the show. He won his championship belt against BJ Penn in April of 2010, and this will be his third defense of the title. He is well-rounded utilizing wrestling, boxing, Muay Thai, and has a purple belt in Brazilian Jiu-Jitsu. He does not possess knock out power, and is not an elite finisher, but should be quicker than his larger opponent. He boxes well, uses his legs to score points, and has good cardio. Eight of his 13 wins have been by decision. He has only one loss in his career, and it was by decision to Gray Maynard. 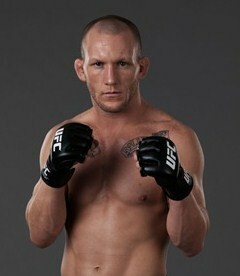 This will be his third fight against Gray Maynard. He lost to Maynard in his first fight back in 2008. Earlier this year Edgar fought to a draw against Maynard in their second fight. He has very good defense against the strike, and is pretty good at defending the takedown. He has trouble with bigger and stronger opponents, but did a good job stuffing the takedown attempts of Maynard in their last fight. Look for Edgar to out-point his opponent and try to win in a five round decision. Gray Maynard was a two-time state champion and national champion wrestler in high school. In college, he was a three-time All-American at Michigan State University. He didn’t have his first professional MMA fight until he was almost 27, so he only has five years experience. Maynard was selected to participate in “The Ultimate Fighter” season 5, but ended up losing in the semi-final round. He currently holds the longest undefeated streak in the lightweight class, and has never lost a professional MMA fight to date. Maynard is a very accomplished wrestler and boxer, and will be stronger than his opponent. Maynard is the taller and larger of the two fighters, but will be slower than his opponent. He never stops moving forward although he is not known for having outstanding power. He has won eight of his fights by decision and two by knockout. He has good striking defense and is typically successful in getting takedowns. He is also very good at defending takedowns. Maynard will try to outwork his opponent, and use his boxing skills to get a knockout, or takedown to impose his ground and pound. Maynard is very serious about becoming a UFC champion and wants to finish the fight so it does not go to a decision. Jose Aldo is only 25 years old, and has been fighting MMA professionally since the age of 17. He grew up in extreme poverty, and has had to fight for everything he has. He has been the UFC Featherweight Champion since September 2010. Prior to that, he was the WEC Featherweight Champion. This will be his second defense of the UFC title. He is a very exciting fighter, and does no hold anything back during his fights. Because of his aggressive nature, he tends to end fights early. He is good at everything, and seems to have no weakness. He is good at strikes with his fists and legs, and has some deadly knees. He is very good at avoiding strikes. He is successful with his takedowns and has excellent takedown defense. He is strong and very quick, with a strong ground game as well. Twelve of his 19 wins have come by way of knock out. He is on a 12 fight win streak, and has not lost since 2005. His one and only professional MMA loss came by submission. He is a Brazilian Jiu-jitsu black belt andWorld Jiu-Jitsu Champion. He also uses boxing and Muay Thai skills in his fights. He is and elite fighter, and considered one of the best pound for pound fighters in the UFC. He will try to finish this fight by way of knockout with either his hands or his legs. 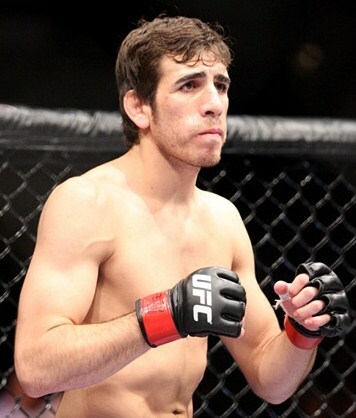 Kenny Florian was on the original “The Ultimate Fighter” series, and fought in the finale. He is a 2nd degree black belt in Brazilian Jiu-Jitsu, and is also skilled in kickboxing and Muay Thai. He is the only UFC fighter who has fought in four different weight classes; middleweight, welterweight, and lightweight, and now featherweight. Florian has fought for the UFC Lightweight Championship twice, but lost both times. Florian is a real student of the game, and works very hard to constantly improve his skills both physically and mentally. Florian is well-rounded on offense and fights pretty good on his back. He is a submission expert, winning 9 of his last 11 fights, six of them by submission. He also has some of the deadliest elbows in the business. If he can get his opponent to the ground, he can typically punish them into submission. Florian will probably need to win this fight on his feet, as Aldo is very difficult to take down. This will be difficult since he does not possess knockout power, and is not a great boxer. His striking defense is good, but his takedown defense could be much better. Only 5 of his 21 fights have gone the distance, and he has lost the decision in 3 of the 5. Florian will have the height advantage, but will be slower, and is not as strong. He has a lot of heart and will do whatever he can to win. This will be a classic striker vs submission expert in this fight, although both fighters are well-rounded in their skills. Chael Sonnen was an NCAA Division 1 All-American wrestler at University of Oregon, as well as the 2000 Silver Medalist at the Greco-Roman World University Championships. His style is Greco-Roman Wrestling, Freestyle Wrestling, and boxing. 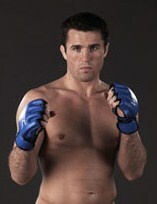 Sonnen had his first professional MMA fight in 1997 at 20 years old, but then did not fight again until 2002. He has won 10 of last 13 fights. Fifteen of his 25 wins have been by decision. His weakness is that eight of his 11 losses have been by submission. His last fight was for middleweight championship against Anderson Silva. He had won all 4 previous rounds on the score card, but was caught in a triangle armbar in the final round and had to tap out. Sonnen has not fought in over a year since his suspension after that last fight. Sonnen is a world-class wrestler, and will have a huge advantage over his opponent. He does not have knockout power, so look for him to try to get takedowns early and often. Holding his opponent down and getting in some ground and pound will take his opponent out of their game. Neither one of these fighters are skilled in Jiu-Jitsu, so don’t expect a submission. Defensively Sonnen is decent at avoiding strikes and good at avoiding takedowns. He also has years of MMA fighting experience over his opponent. Look for Sonnen to try to gut this one out on the ground in a decision. Brian Stann began MMA fighting while he was in the Marines, and when he got out in 2008, started MMA fighting full-time. He became the WEC Light Heavyweight Champion that year, and joined the UFC in 2009 when the WEC merged with the UFC. He trains in Brazilian Jiu-Jitsu and submission wrestling. He is a good kickboxer, skilled in the Marine Corps Martial Arts Program (MCMAP). Stann is very strong as a middleweight, and is an excellent athlete. He is a standup striker, and makes no bones about it. He wants to try to knockout his opponent, and has the power to do so. Stann is 5-1 in his last six fights, and eight of his 11 wins have been by knockout. Being a decorated Marine, he always comes into a fight both physically and mentally prepared for anything, is constantly improving his talents, and is very tough to beat. He has decent striking defense. He does not typically attempt takedowns on his opponents because he does not want the fight to go to the ground. His takedown defense is not great, and this could hurt him in this fight. Stann will want to keep this fight on his feet and throw heavy blows, while his opponent will attempt takedowns and ground and pound. The winner will be the fighter that can impose their skills on the other fighter. Leonard Garcia is a brawler. He has dropped from lightweight to the featherweight class. He was 8-1 in his pro MMA career, and then took a three-year break. Since then, he is 7-6-1. Submissions are his expertise, and has nine of his 19 wins by submission. Five of his seven losses have been by decision. He is a brown belt in Brazilian Jiu-Jitsu, and also uses boxing in his fighting style. Garcia is a successful striker when standing, but does not have good striking defense. He does not typically try to take down opponent, and has awful takedown defense. Fortunately for Garcia, his opponent also likes to stand and strike, so don’t look for this fight to go to the ground. Garcia usually has good stamina to work the entire fight, and will be much taller than his opponent in this fight. This will be his second fight against his opponent. Garcia won the first fight in a highly controversial split decision, and wants to win this fight without any questions. Nam Phan runs his own academy where he teaches Brazilian Jiu-Jitsu, boxing, and Muay Thai. He is a black belt in Brazilian Jiu-Jitsu and Karate, and a 2nd degree black belt in Quyen Dao. He is very well-rounded, as his style also includes boxing, in which he has a 3-1 professional career. He is very accurate with his standup striking, and is okay at avoiding strikes. He has never attempted a takedown in any of his MMA fights, and has decent takedown defense. He has 7 wins by knockout, 5 by submission, and 4 by decision. He has six losses by decision and three by knockout. He is 1-4 in his last five fights, but had an eight fight win streak from February ’05 to September ’06. Phan really needs to step up his game if he wants to continue his career in the UFC. Although he will be outsized, he has experience and excellent boxing skills to finish off his opponent. Plus he is looking for revenge from the earlier loss to Garcia. Melvin Guillard was on season two of “The Ultimate Fighter” series. At the young age of 28, he has a lot of pro MMA fights under his belt. He began his professional MMA career at age 19, and started out 11-0. He is currently on a five fight win streak, and is 8-1 over his last nine fights. He has improved his submission defense and has learned to use more patience in the Octagon over the years. Guillard is a strong and powerful striker, with six knockouts in his last ten wins. He is extremely athletic and quick, utilizing his kickboxing, wrestling, Judo and Jiu-Jitsu skills to his advantage. He is a great striker on his feet, with good boxing skills and deadly knees. He is very successful taking down his opponents as well, but is not much of a submission guy. He has decent defense against the strike, but only has okay takedown defense, which is what gets him into trouble. All six of his most recent losses have come by way of submission. Look for Guillard to want to keep this fight standing up, but look for him to put the pressure on his opponent from the opening bell. He will want to finish the fight with a knockout punch, kick, or knee, and look for it earlier on in the fight than later. Joe Lauzon began his pro MMA career in 2006, and went on to win eight fights in a row, all by submission. He was a contestant on “The Ultimate Fighter” Season 5, and lost in the semi-finals. Lauzon is 10-3 over his last 13 fights, but only 2-2 in his last four. Lauzon is a submission expert. Sixteen of his 20 wins have been by submission, which does not bode well for Guillard, as that seems to be his achilles heel. Lauzon does not have knockout power like his opponent. Lauzon is a purple belt in Brazilian Jiu-Jitsu, and also studies KickBoxing. His most successful striking comes once he gets his opponents on the ground. He has decent defense against the strike. He is average with his takedown success, which does not even compare to how good his opponent is. His takedown defense is okay, which will probably be tested often in this fight. Look for Lauzon to be patient and try to get his opponent on the ground to try and secure a submission. If not, it may be difficult for Lauzon to win this fight. ~ by Troy Erickson Realtor on October 8, 2011.